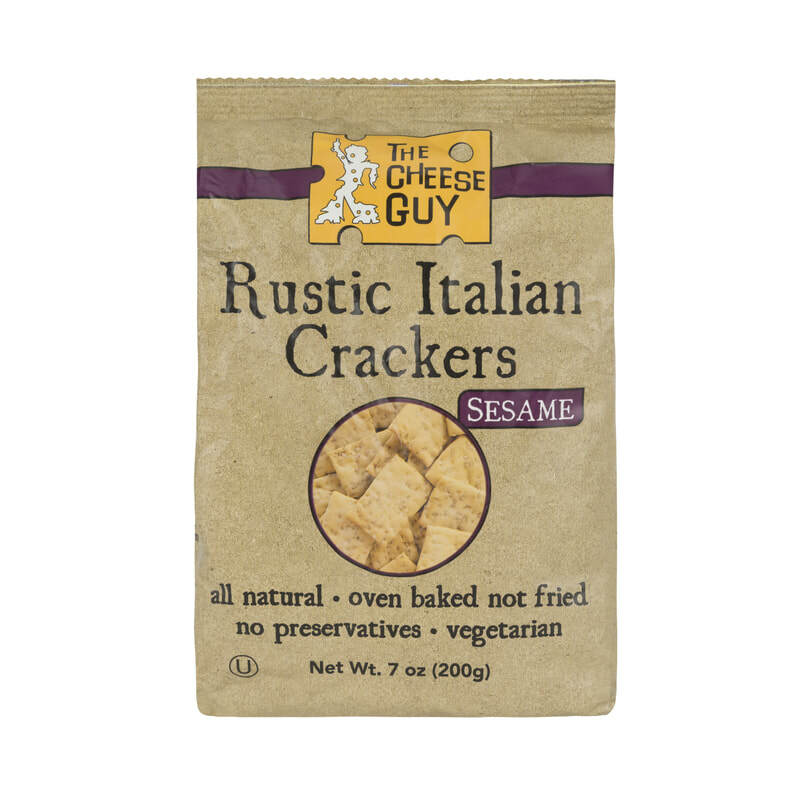 These crackers are made from an all-natural recipe from the Basilicata region of Southern Italy. They are a perfect when served with The Cheese Guy cheeses, olives, dips, salsa or alone as a delicious snack. The sesame crackers have a delicious crunch and sesame savoriness that really satisfy the palate.